We manufacture the best Micro Processor Controlled Bottom Sealing & Cutting Machine in the market. Using premium grade components, our Micro Processor Controlled Bottom Sealing & Cutting Machine offers smooth performance consistently. 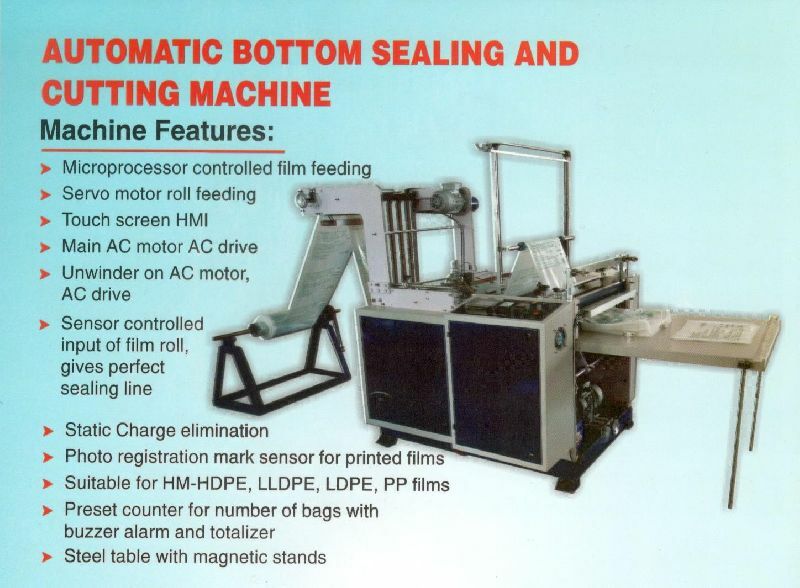 Above all, we provide Micro Processor Controlled Bottom Sealing & Cutting Machine at the marketâ��s leading price. Maximum Speed (approx) 120 Strokes / min.